We are a space in Oak Cliff made specifically for creatives. 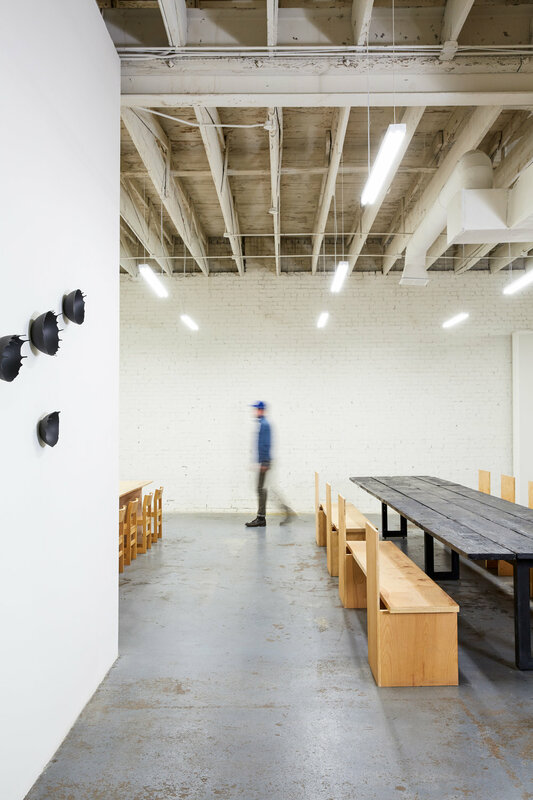 An inspiring space where people can work independently or collaborate with others. We welcome creative disciplines of all types: Photographers, Designers (interior, graphic, fashion), Architects, Videographers, Illustrators,Art/Creative Directors, Makers (as long as it’s not too loud or smelly), Stylists, Visual Artists, Writers, etc. FLOCC is a 6500 square foot space located in Oak Cliff. 1,000 sq. ft. studio space that can be used for photo shoots, workshops, critiques, and whatever else you can dream up. A conference room that could fit a dozen people easily. A large communal space to hang out, collaborate, chat and stretch your legs. A fully-equipped kitchen and commercial fridge for all your sack lunches. Work spaces that you are able to share or claim entirely for yourself. High ceilings that make the space feel open. A rotating exhibition space to show off your work.